Series : These seals are designed in single conical self-driving spring, It is used for normal applications in gear pumps, water pumps and mono block pumps. The exclusive gamut of conical spring seal offered by us is of top-notch quality and caters to the requirements of the clients. 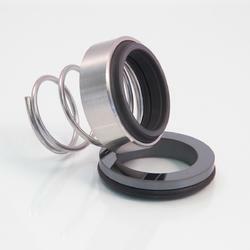 These seals are available indifferent seal faces such as; Carbon, Tungsten Carbide, Silicon Carbide, Ceramic. - Generally Used in Chemical Process Pump, Oil Refineries, fertilizer, Thermal Power Plants, Nuclear Plant, & petroleum, Paper & Pulp Industries. - We offer multi spring seals that are most commonly used mechanical seals for all Kinds of fluids and non-corrosive liquids. LPS-011-U series is single conical spring unbalanced Mechanical Seal with “O ring as secondary sealing offered for wide service applications. These seals designed are dependent of the direction of rotation, torque transmission is done by single conical spring and direction of rotation is seen from the drive end of the shaft. 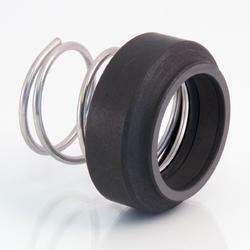 We are a well known firm engaged in manufacturing and supplying w wide array of Conical Spring Seal. These products are dependent on the direction of rotation and are provided with a conical spring. The products offered by us are widely used in sewage pumps, water pumps, chemical process pumps and in the sugar industry. Seal Faces: SiC / TC / Carbon / Stellite / Ceramic, etc. Balance & Unbalance seals are designed dependent of shaft direction of rotation. The Clockwise rotating shaft required Right hand spring & the Anti Clockwise rotating required Left-hand spring. The rotating shaft transmits the drive to conical spring.